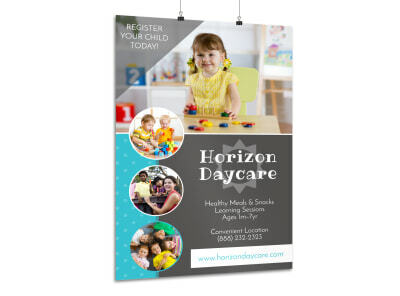 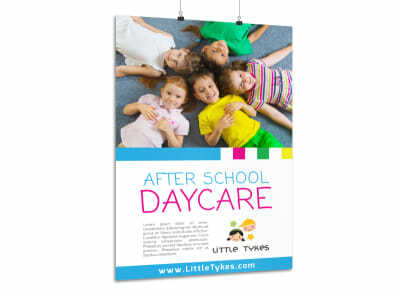 Attract new clients to your in-home daycare, child care center, or babysitting service with bright and fun completely customized child care posters. 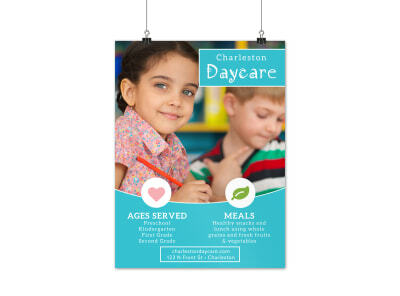 Our professional designers (who were all once children in need of care themselves) have created a variety of child care poster templates for you to choose from. 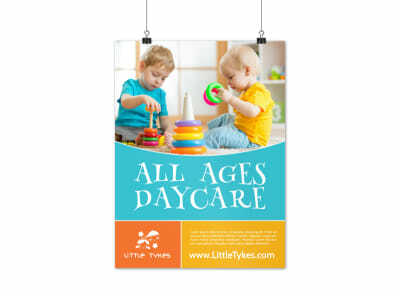 Our easy-peasy lemon-squeezy online editor will have you playing Chutes and Ladders, Candyland, and freeze tag with your new pint-sized charges in no time! 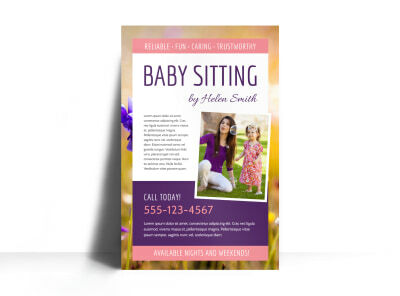 Looking to build up your babysitting client Rolodex à la Kristy, Mary Ann, Claudia, and Stacey of Baby-Sitters’ Club fame? 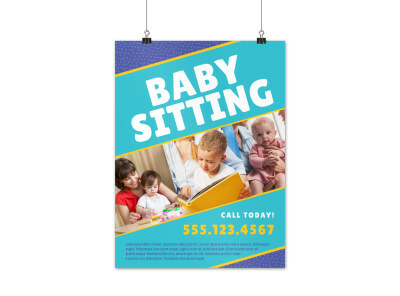 Reach out to a new set of families by customizing an eye-catching and fun babysitting poster that draws in parents and kids alike. 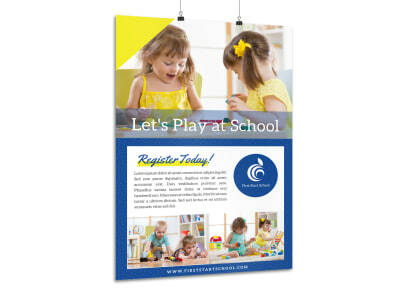 MyCreativeShop offers a wide variety of available poster templates designed by pros, so all you have to do is choose your favorite and hop on over to our online editor to make it your own. 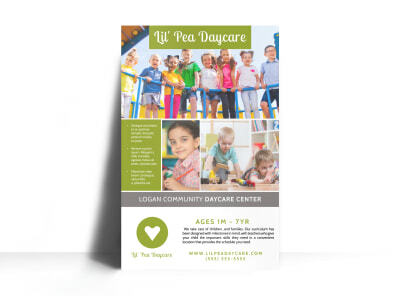 Include all of your contact info, certifications (First Aid, CPR, AED Training), experience, references, and a note about what sets you apart - since the poster won’t be pocket-sized, make sure they remember you. 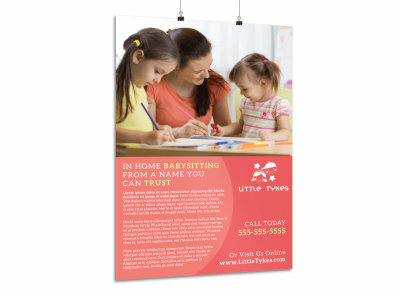 You can also design a set of babysitting business cards to be placed nearby. 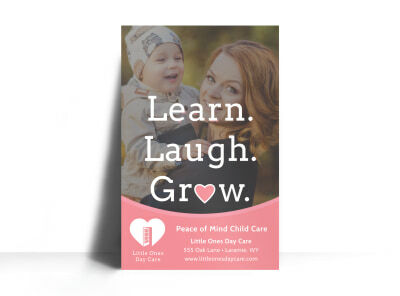 Either way, with our help, your client list will go through a growth spurt in no time!